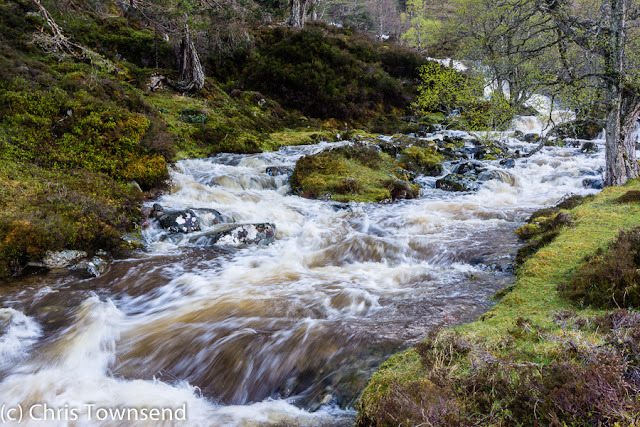 Stream in spate in the Western Highlands. Unable to ford it safely I had to change my route. 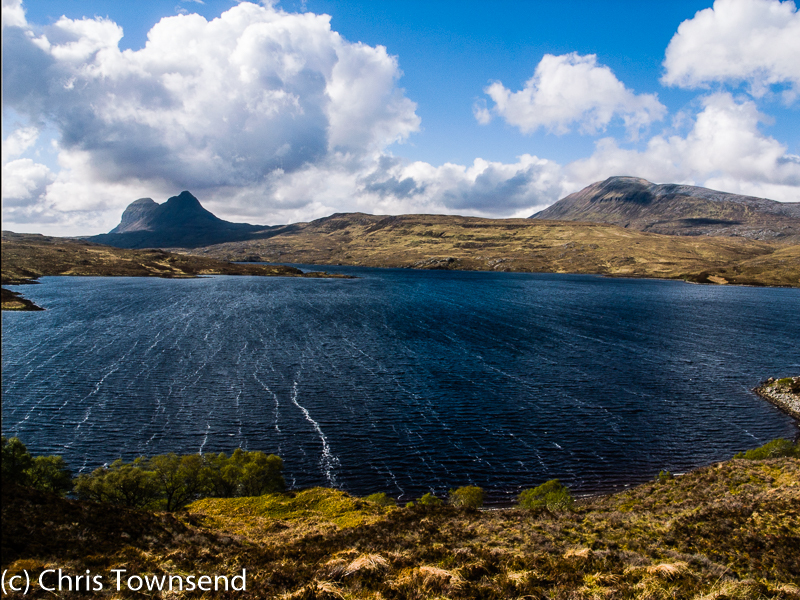 Water is a constant feature of the Scottish hills. Only on the highest, narrowest ridges are you away from water for long and even then you can usually see lochs and rivers far below. 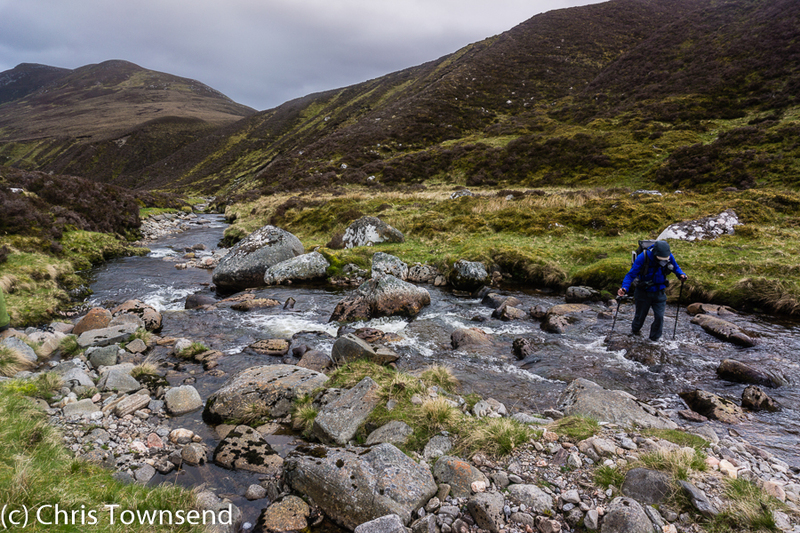 Often water is close to hand, whether tiny trickles and pools high in the hills or big rivers and lochs in the glens. Water isn’t just part of the visual landscape either. It’s also part of the outdoor soundscape. 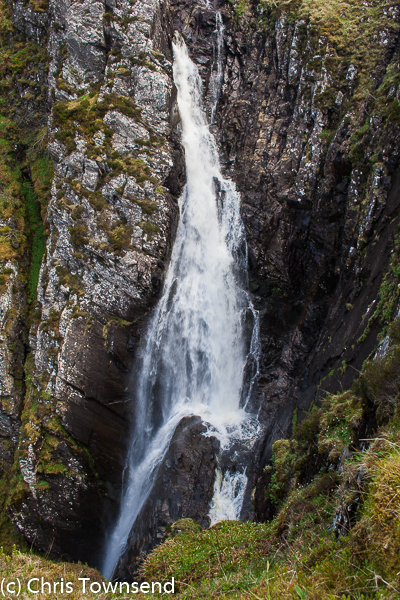 The sounds of water are an integral part of the Scottish hill experience; from the crashing of a hill burn down steep rocks to the rattling of rain on a jacket hood the noise of water is often present. 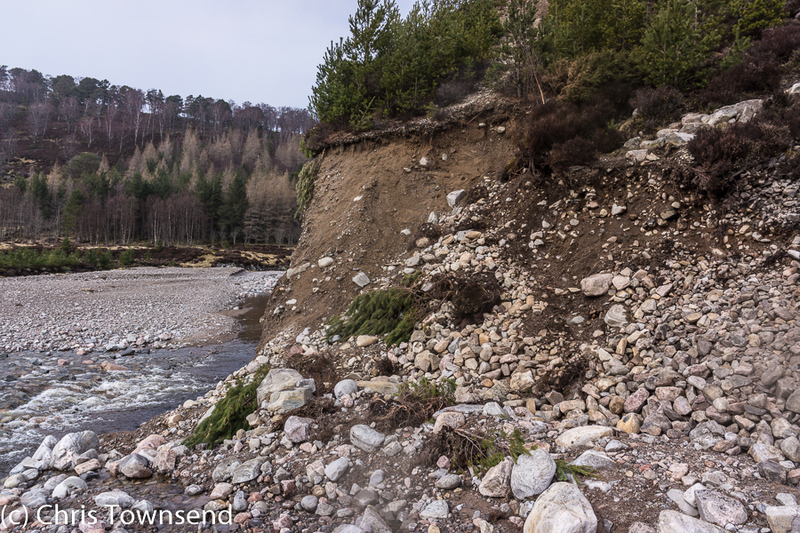 The Carnachuinn Bridge in Glen Feshie was swept away by a flood in 2009. It still hasn't been replaced. Water is also essential in shaping the landscape. 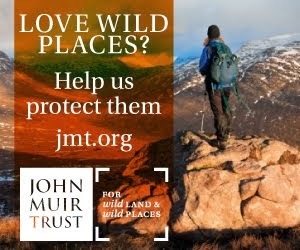 Water has carved out glens and corries, both when frozen in the form of glaciers and as free running water, eroding away hillsides and valley bottoms. This process continues each day with rivers and burns slowly wearing away the hills. Every rain storm has an effect too, often unnoticeable but it is there and over time the landscape changes. Floods have immediate effects, shifting rocks and soils, cutting new river channels and sweeping away banks, trees and, sometimes, bridges and paths. The beauty of the landscape owes much to water. 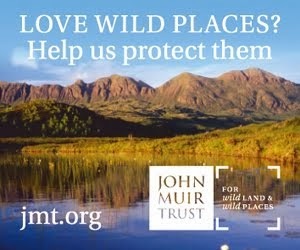 The lochs and rivers and waterfalls are all essential to the overall appearance of the hills, shining and shimmering in sunlight, contrasting with the rocks and vegetation. 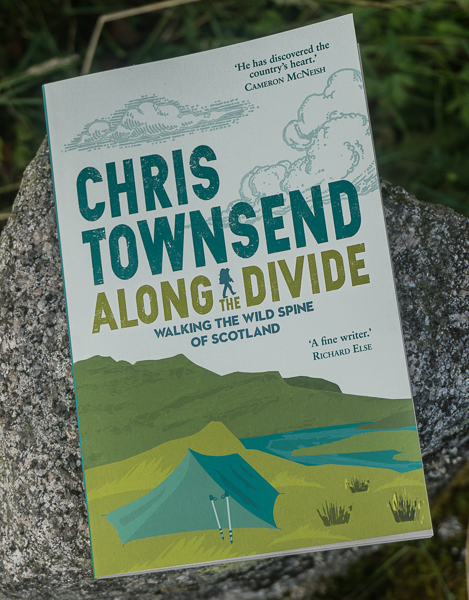 Rain too matters, much as hillwalkers may curse it. Without rain the hills would be brown and parched, desert-like. Without rain the rivers would dry up and the lochs shrivel and fade away. Water also provides challenges to hill goers, both in the form of rain and turbulent streams. Driving horizontal rain isn’t unusual in the hills and will soon find a way through any weakness in waterproof clothing. 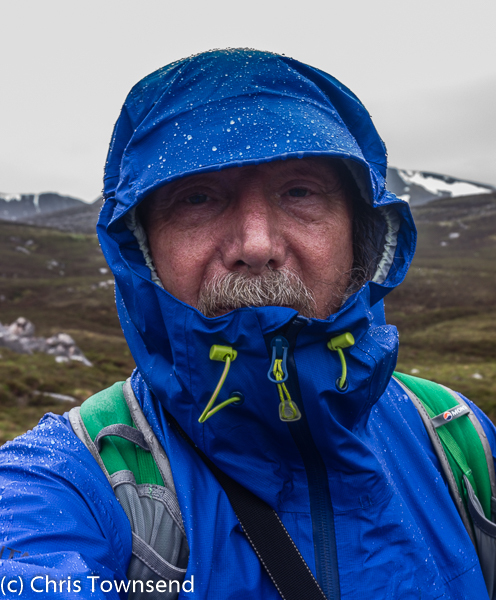 Keeping the rain out whilst not getting wet from trapped body moisture is a constant struggle for hillwalkers. Whilst staying completely dry on a day of continuous windblown rain is just about impossible, staying comfortable – not too wet, just warm enough – is feasible with the right clothing. Dealing with rain is also psychological as it’s easy to become fed-up when a storm lasts for hours or even days. A philosophical approach and a consideration of what rain adds to the landscape is required at such times! 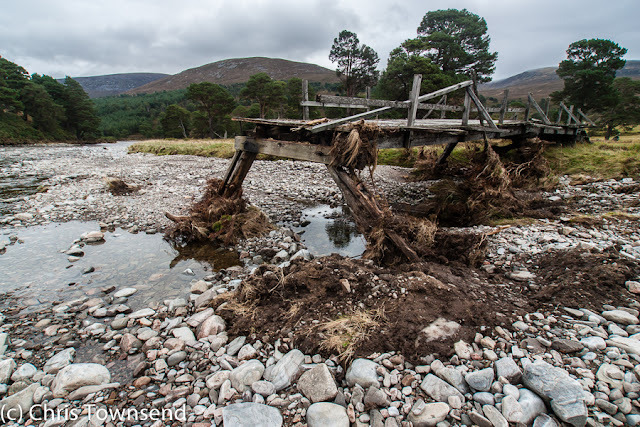 The other challenge from water comes when burns or rivers need to be forded as there isn’t a bridge, which is the case in many parts of the Highlands. Hill streams can rise very quickly after heavy rain; a trickle that could be crossed without getting your feet wet can be an impassable raging torrent when you return a few hours later. People have drowned attempting to ford rivers and burns in spate so great care is needed. I’m very wary of fords following a couple of incidents early on in my Scottish hillwalking career when I was nearly washed away. I can still remember realising half way across one deep torrent that if the water grew any stronger or deeper I wouldn’t be able to keep my feet. Happily it didn’t. Now I’m prepared to go miles out of my way to avoid crossing any stream that looks too strong and I have often backed off after starting a ford. Water then can be both a pleasure and a threat. Learning to appreciate it and deal with it is essential to the mountain experience. Without water the Scottish hills would be diminished. It’s part of what makes them what they are.